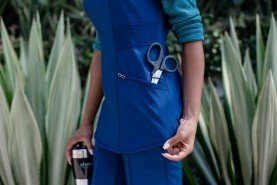 In my six years as an RN, my scrubs have been oversized and lack form-fitting material & design. Sometimes I feel as if I’m wearing a parachute rather than an outfit. Although scrubs are intended to make me look like a skilled medical professional, I actually look like a disheveled youth who gets dressed in the dark. You see, I’m very petite in stature at a mere 4ft 11 and 95 lbs. 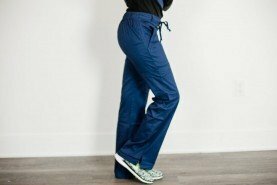 And I’m not the only nurse with this issue of oversized scrubs. 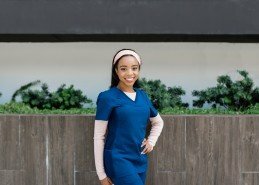 According to an article written by the Health Services Research, nursing shortages have caused aggressive recruitment of nurses from abroad. 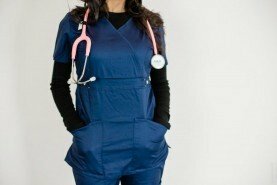 The United States is actually the largest importer of foreign-born nurses. 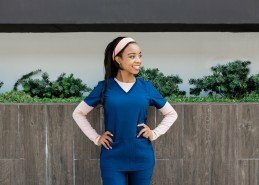 That being said, in the year 2000, close to a third of the foreign-educated nurses in the US were from the Philippines. 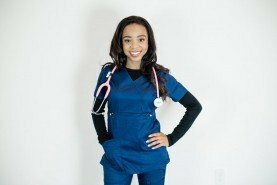 The second largest source of foreign-born nurses was the Caribbean and Latin America. 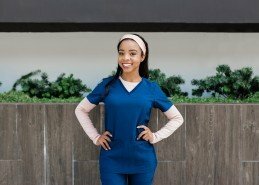 This number of foreign nurses is still growing. So what does this have to do with scrub sizes? These foreign-born nurses who live & work in the US are just one of many groups of petite nurses who share my struggle. Well, I’ve found a few that will transform your work life forever. 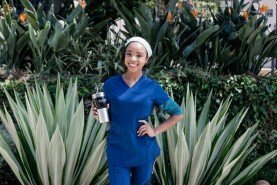 There you have it, my first petite scrubs review! Feel free to check out the scrubs in the links below and tell me what you think!